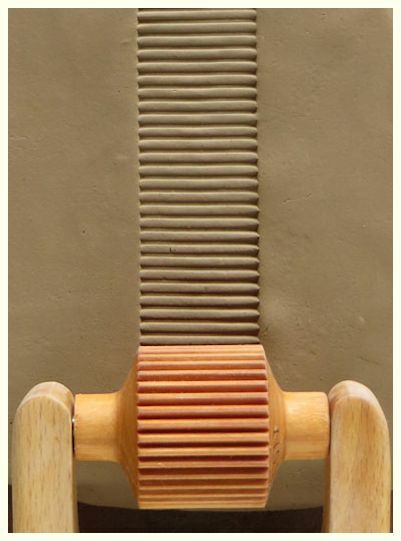 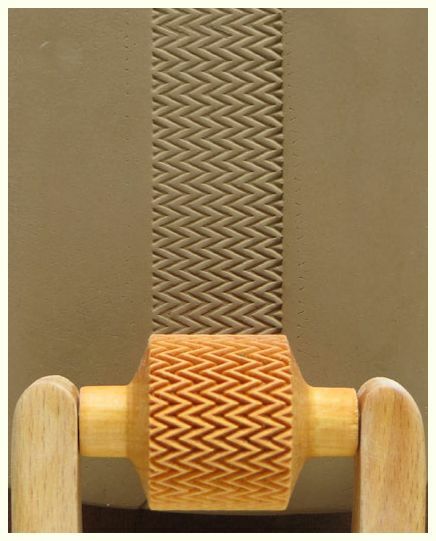 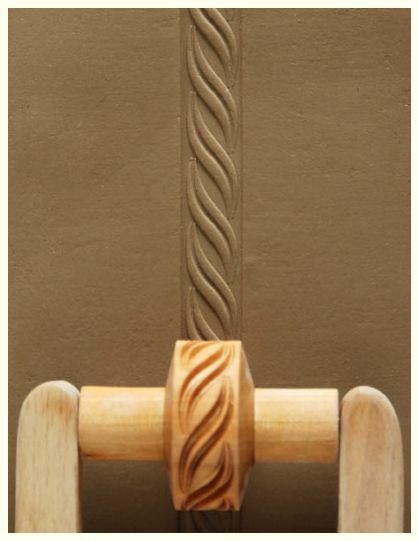 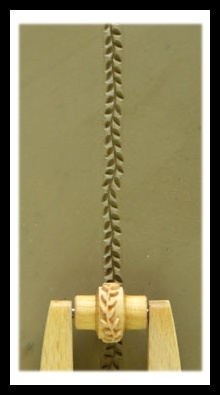 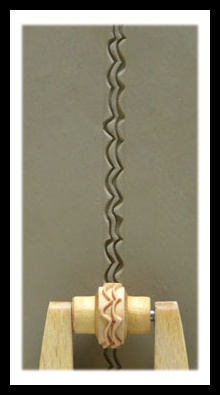 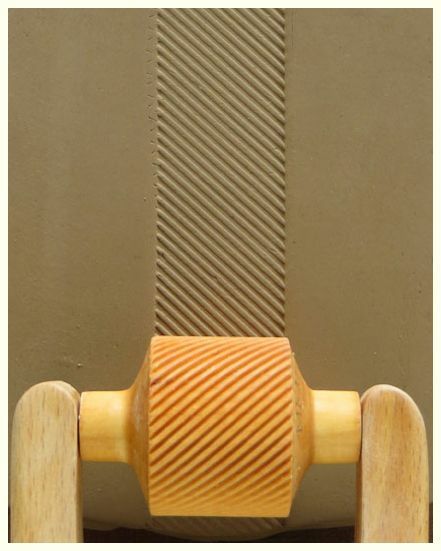 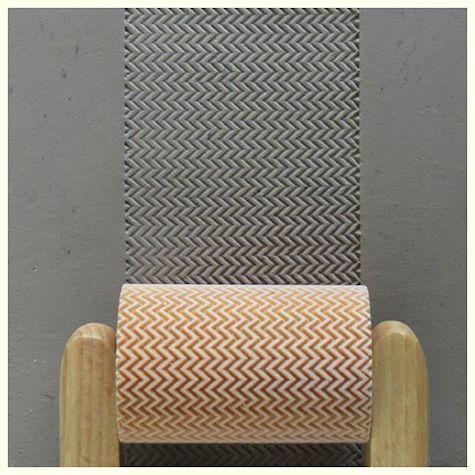 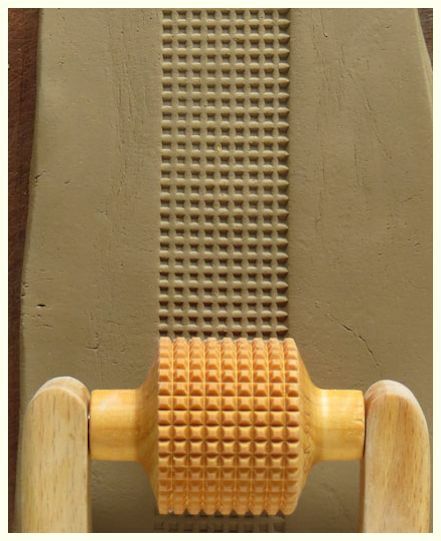 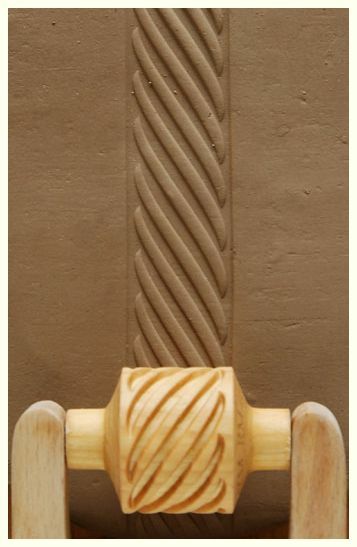 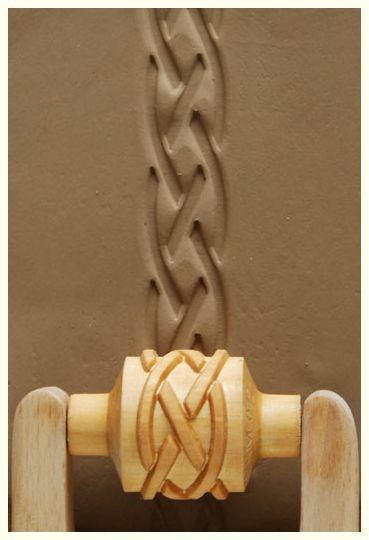 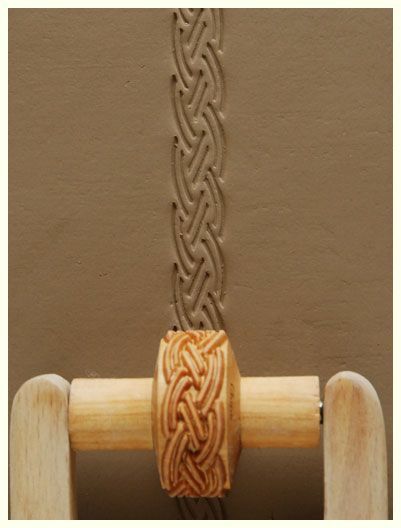 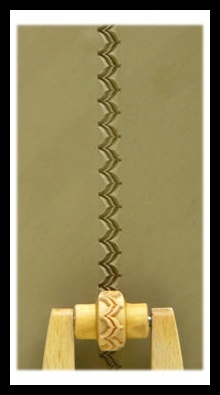 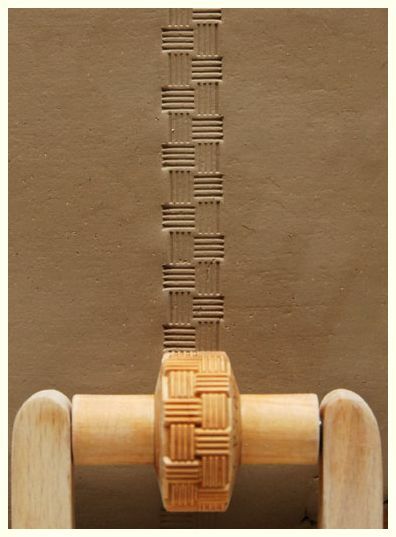 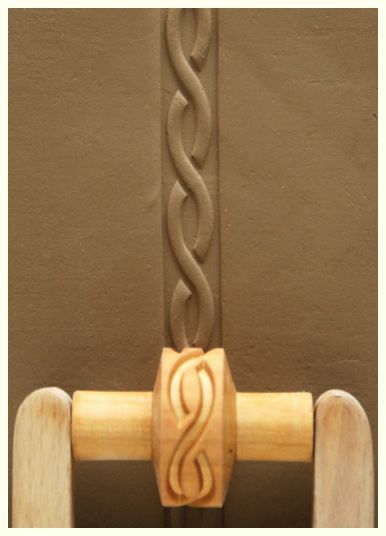 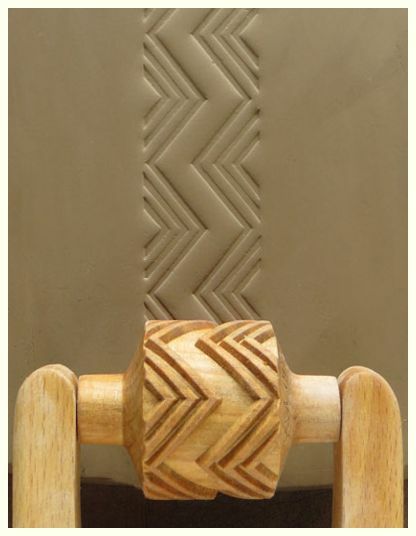 All Finger Rollers are 5.5cm (or 2 inches) in diameter, with 8mm design strips. 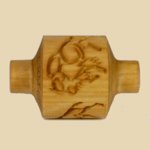 Best for the interiors of small or medium bowls. 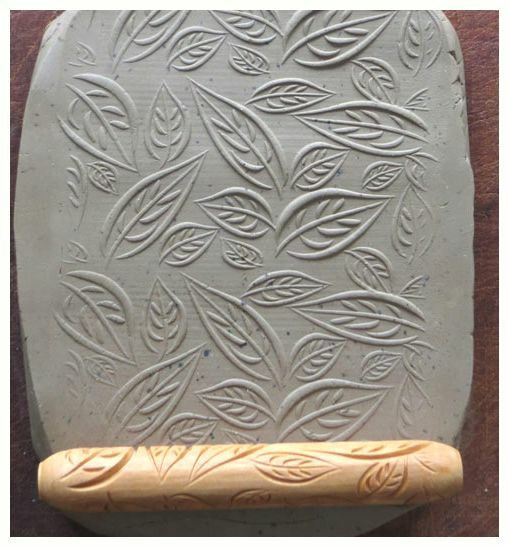 An interior rib for small vases and jars. 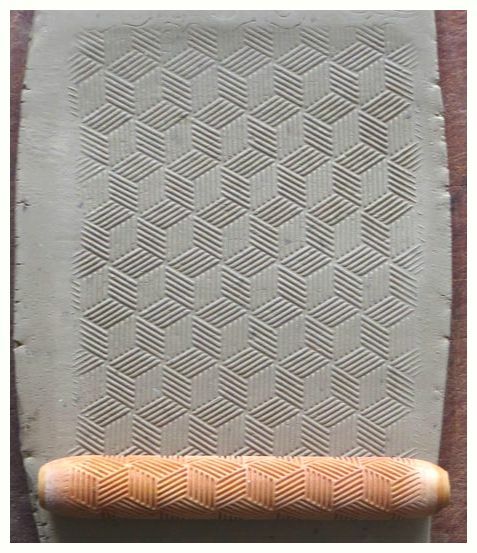 General use rib for medium bowl interiors. 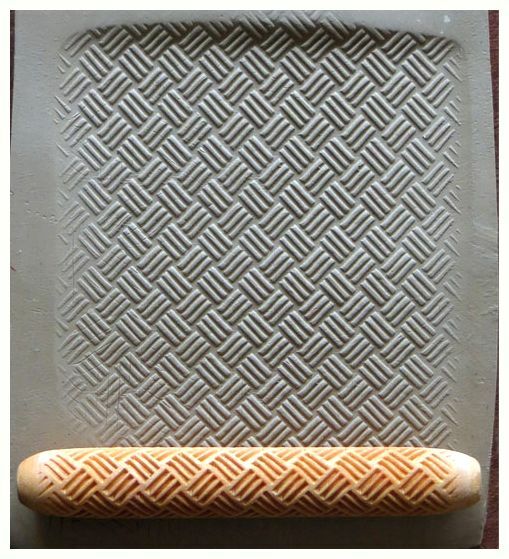 For large bowl interiors and medium plates. 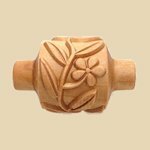 For small bowl interiors or wall compression. 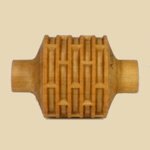 For small to medium bowls or wall compression. 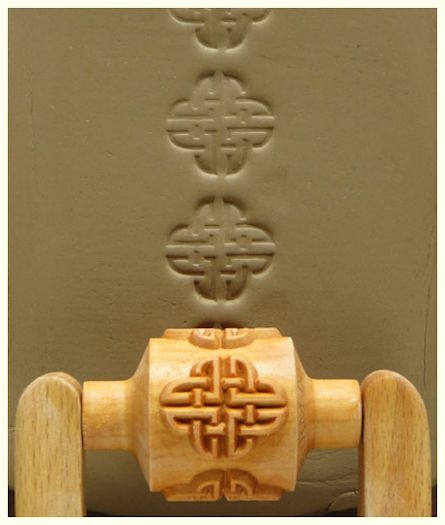 For small bowl interiors, external wall compression, and details. 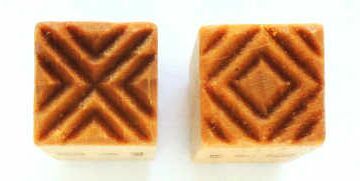 Four different corner shapes. 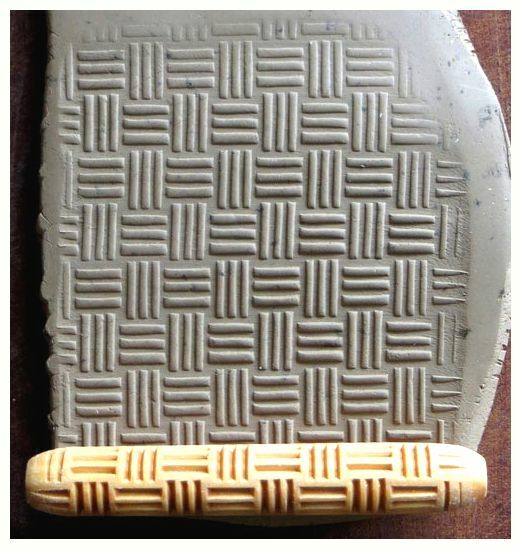 Works on the MKM throwing sticks, too! 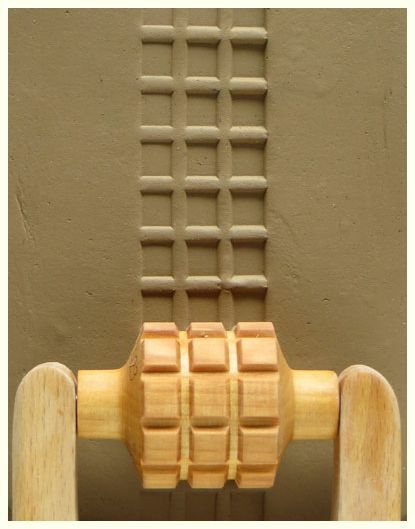 Great for vertical wall compression. 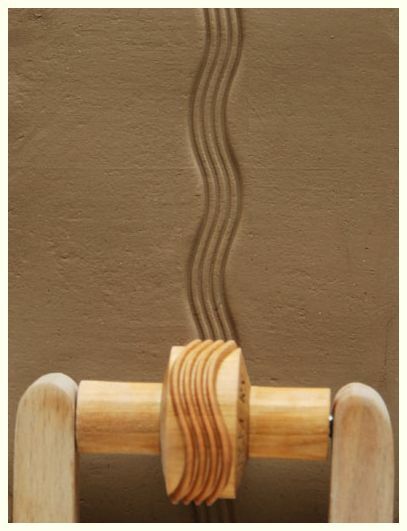 Works well inside large bowls with steep walls and flatter curved bottoms. 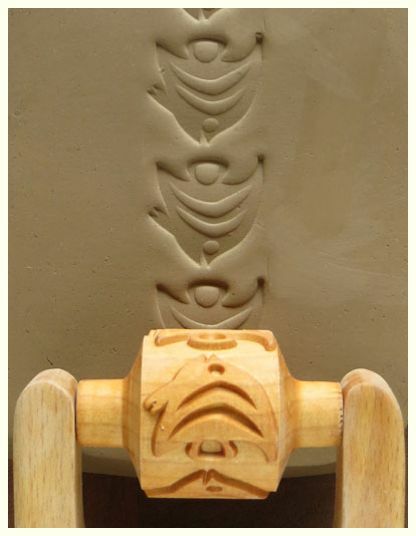 Great inside large bowls with steep walls and flatter curved bottoms. 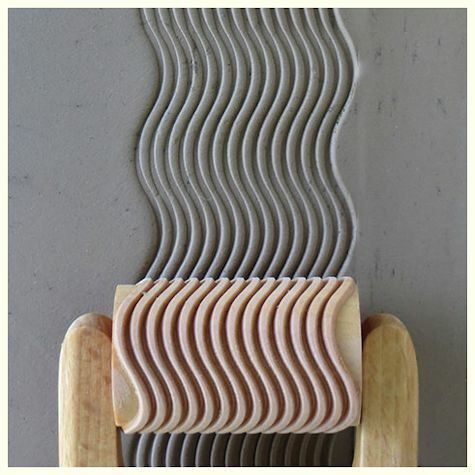 Useful for smoothing the marks left by trimming tools. 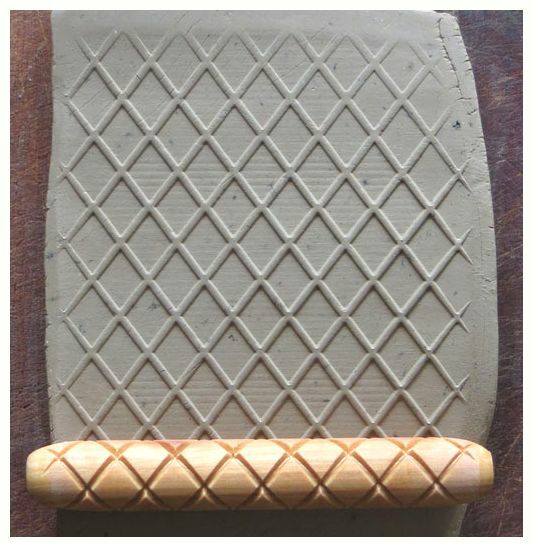 Multiple use rib for bowl interiors, wall compression, and a sharp corner for detail work. 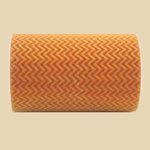 For compressing clay and removing slip. General purpose bowl & plate rib. 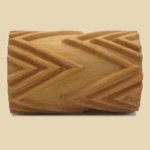 General rib for large gently curved bowls, platters and vases. 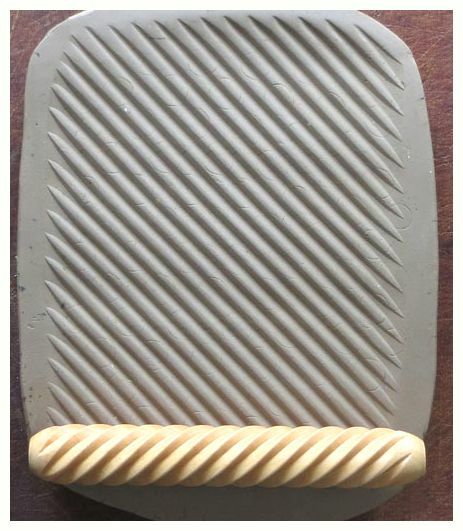 Or use it as a small paddle! 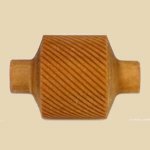 Designed for working with flanged plates and bowls. 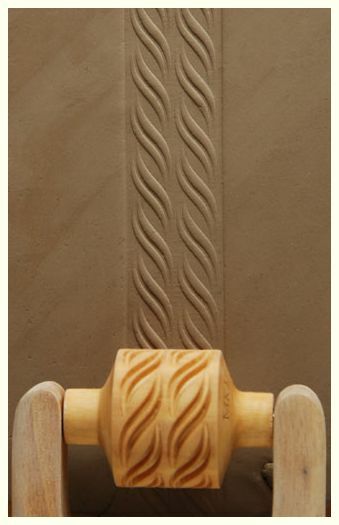 For setting the curve on plates or making exterior linear marks. 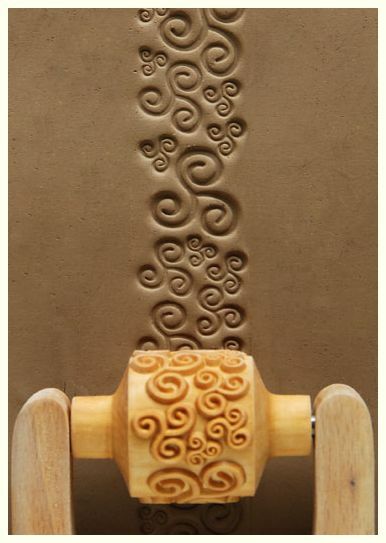 NO HANDLE needed with these rollers: roll them with your hand! 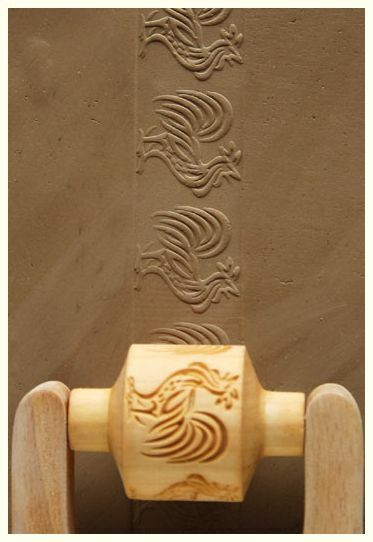 Roll up or around the wall of a thrown pot, or anywhere on a slab. 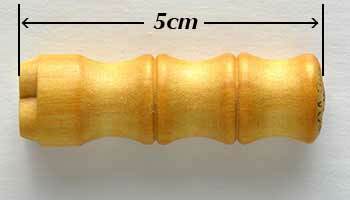 Each roller measure 4 inches (10cm) long by 0.6" (1.5cm) diameter. 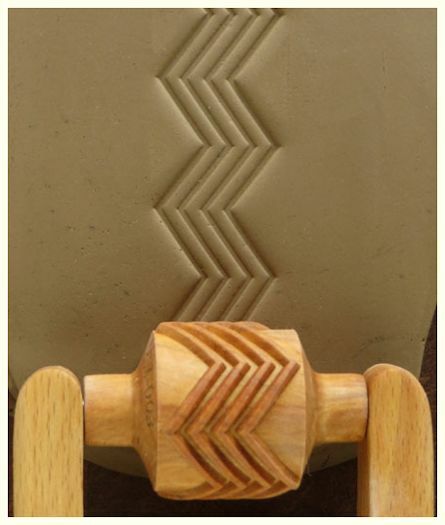 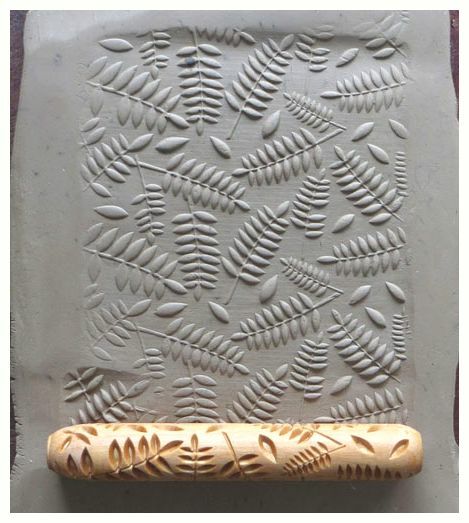 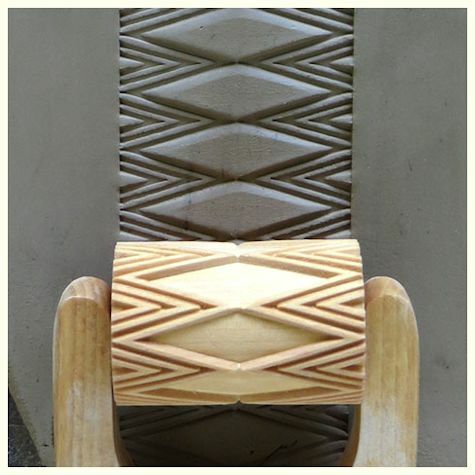 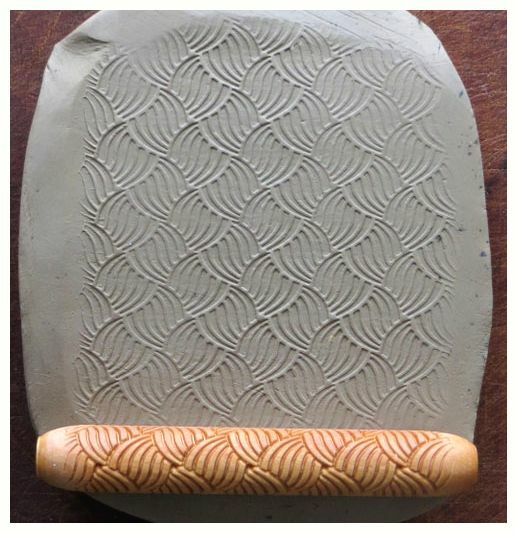 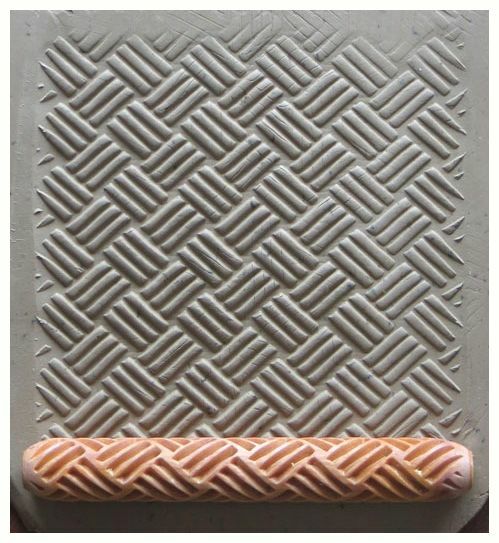 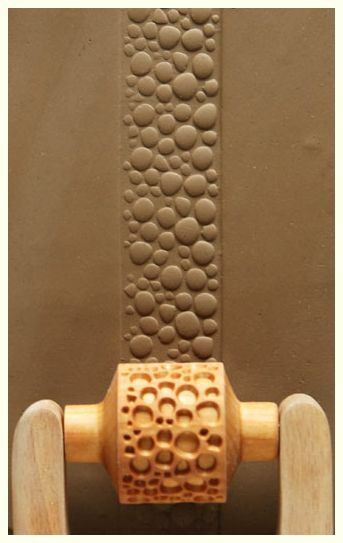 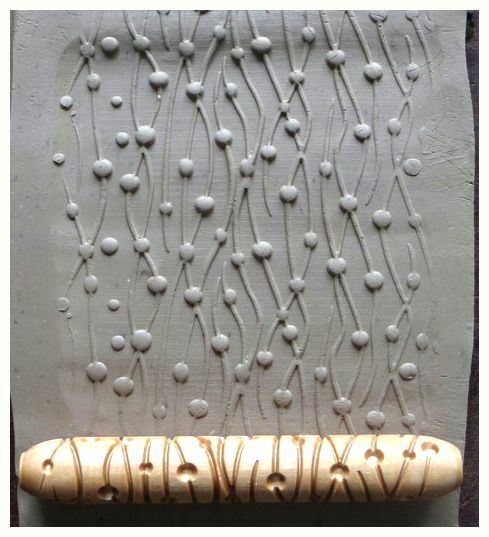 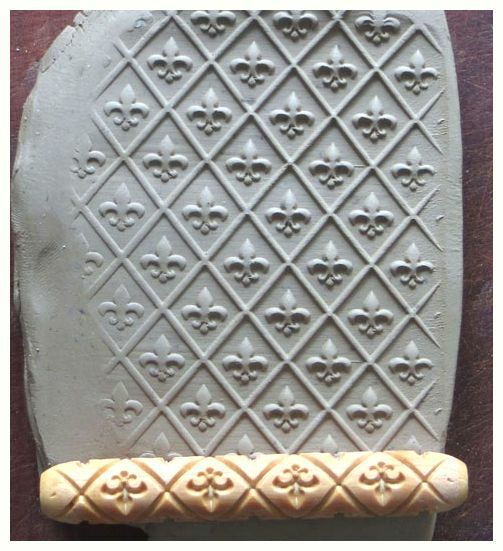 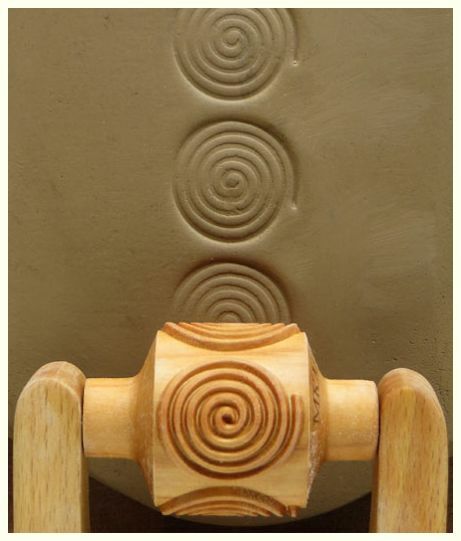 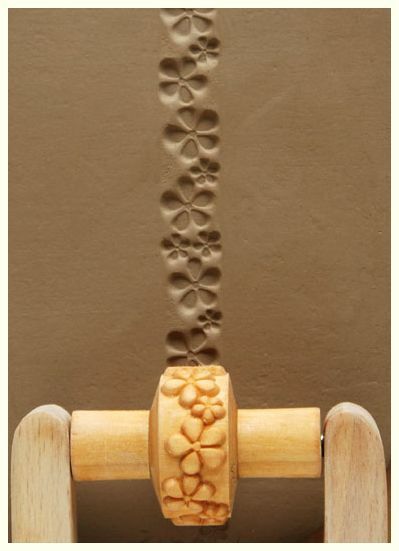 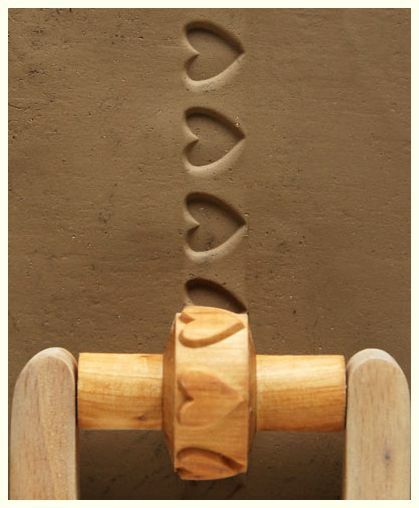 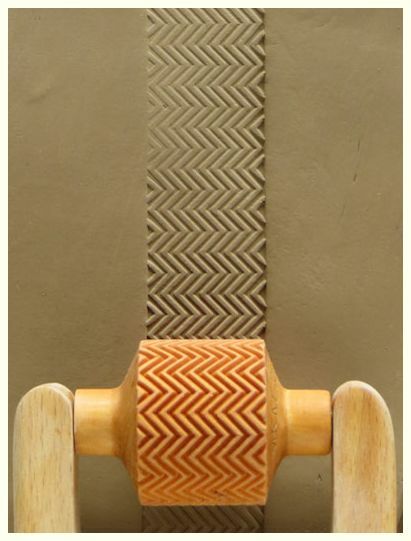 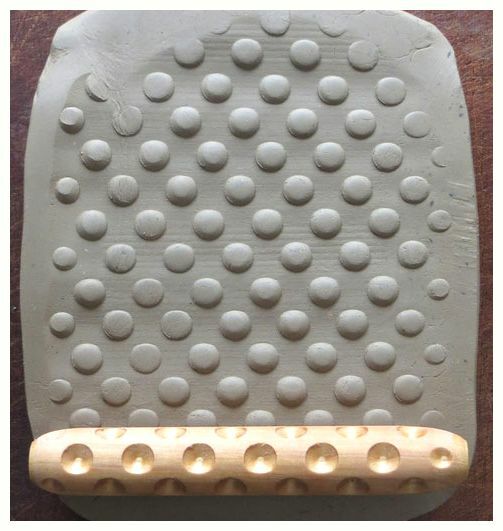 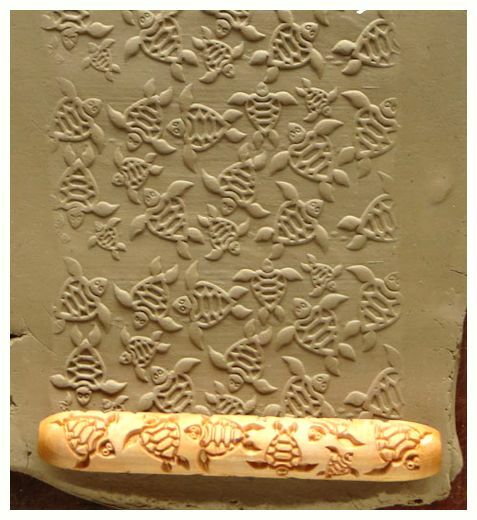 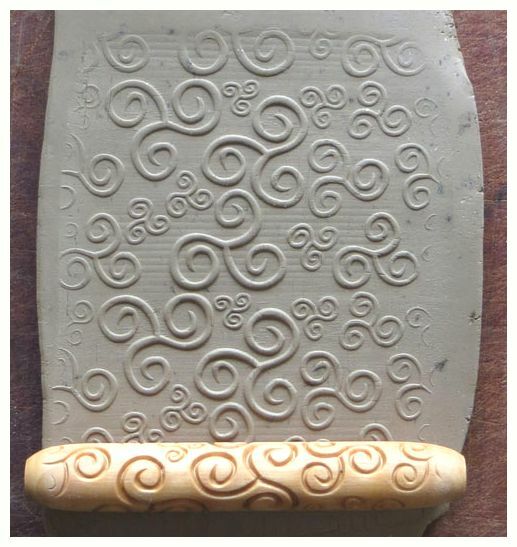 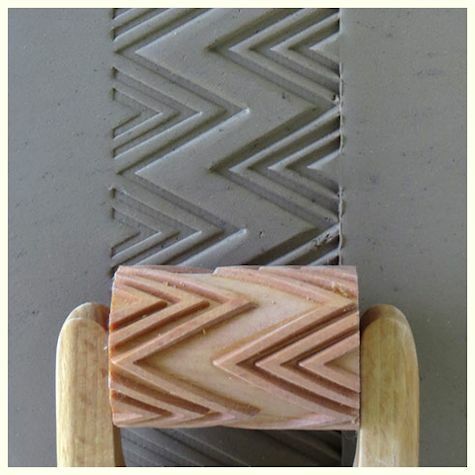 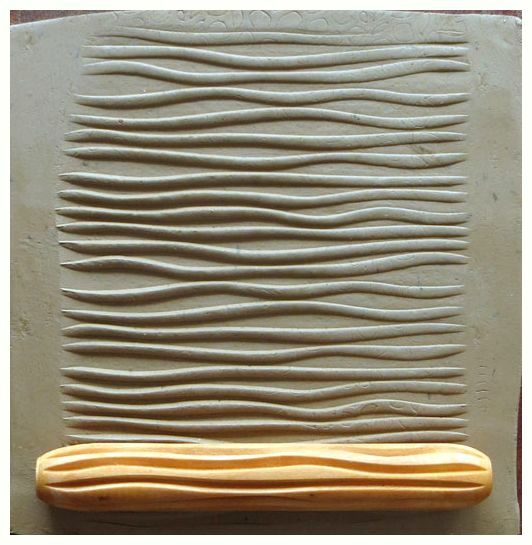 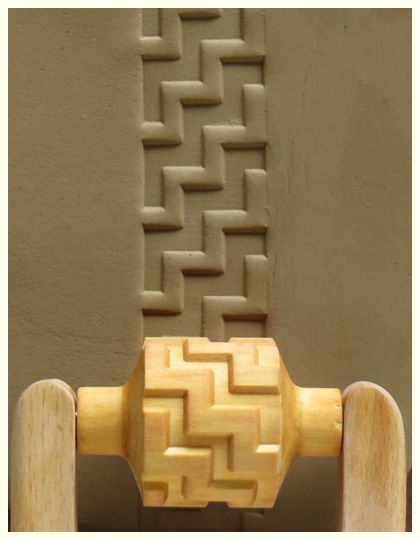 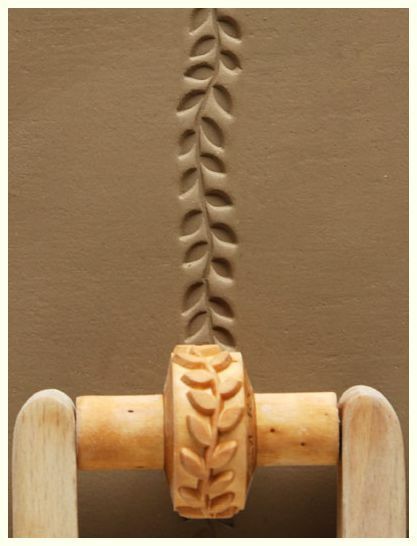 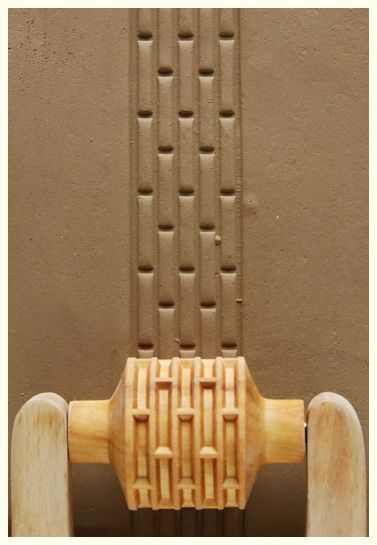 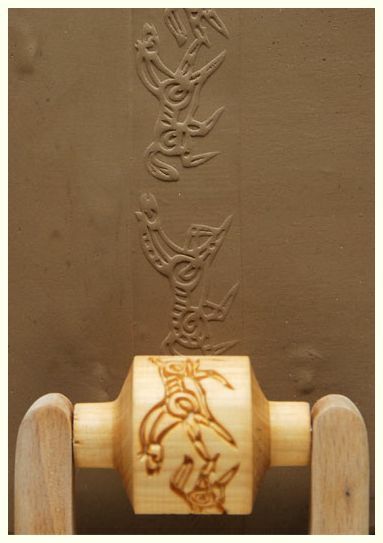 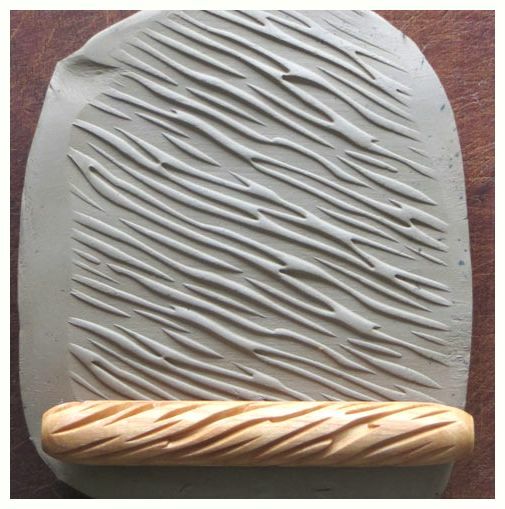 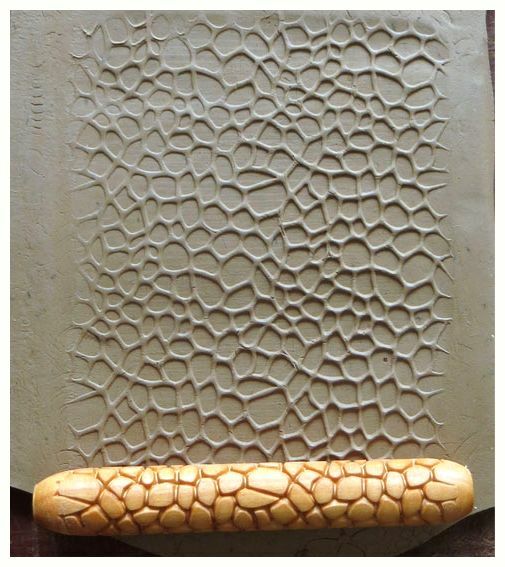 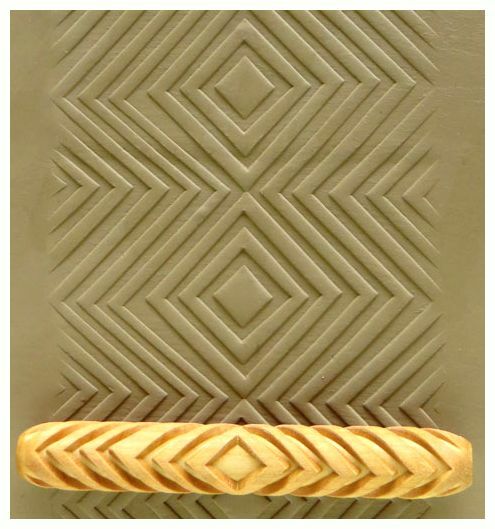 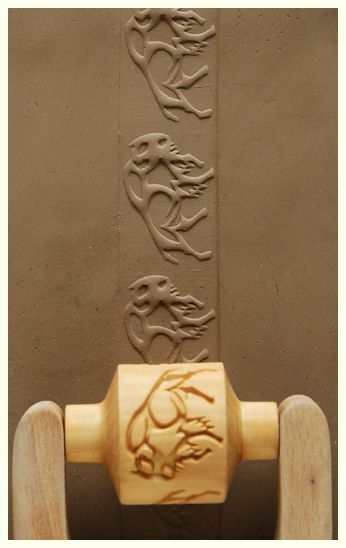 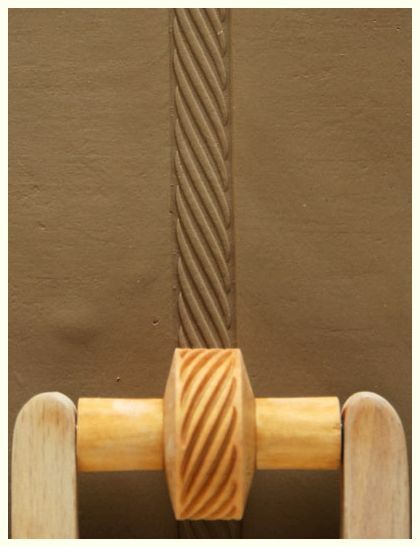 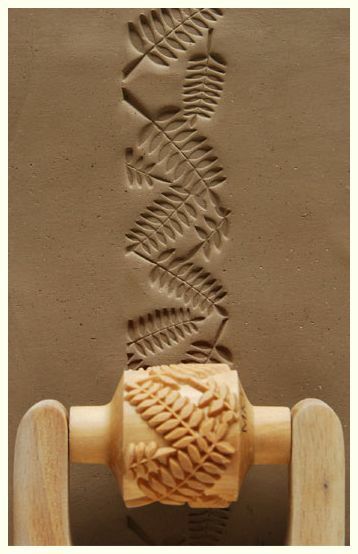 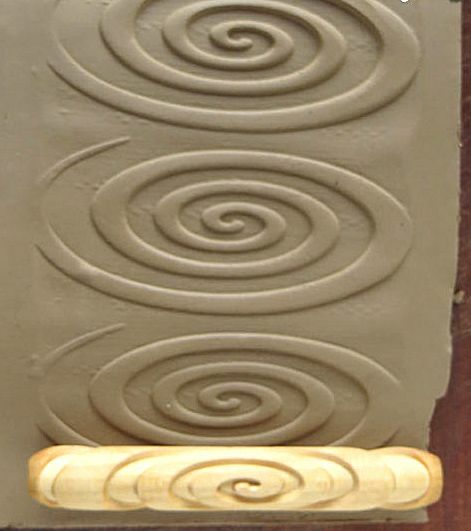 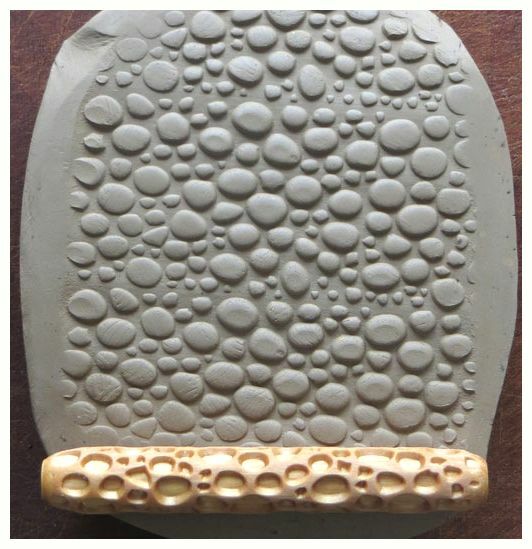 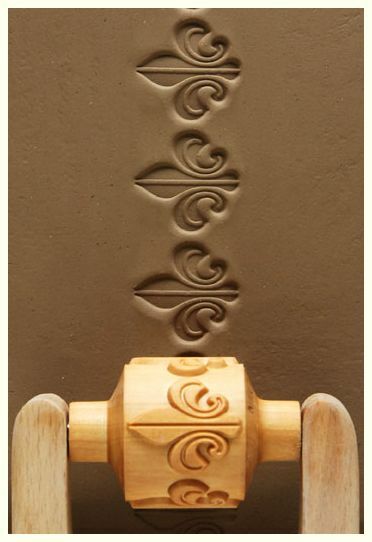 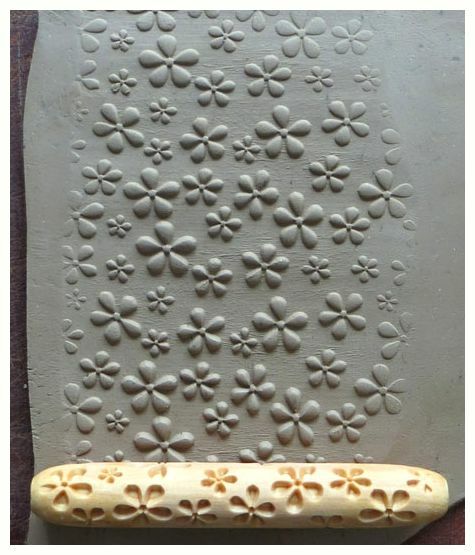 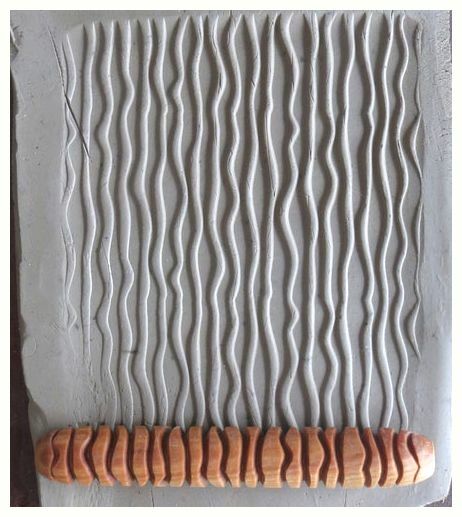 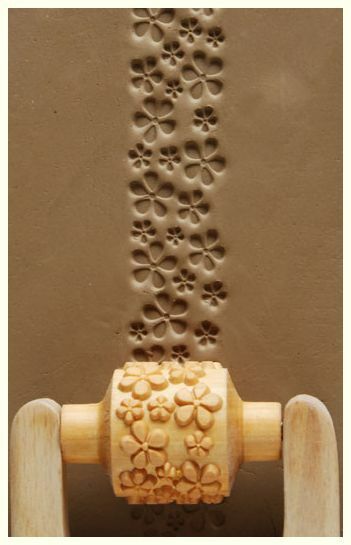 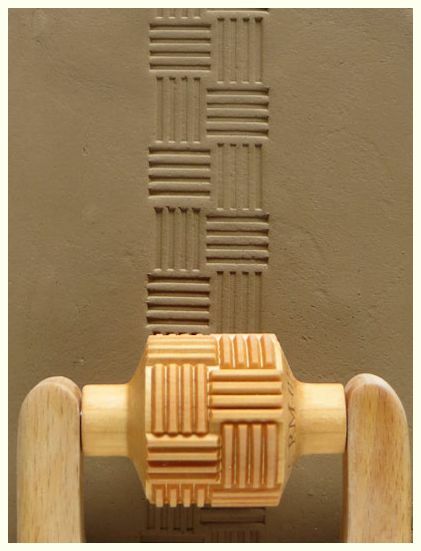 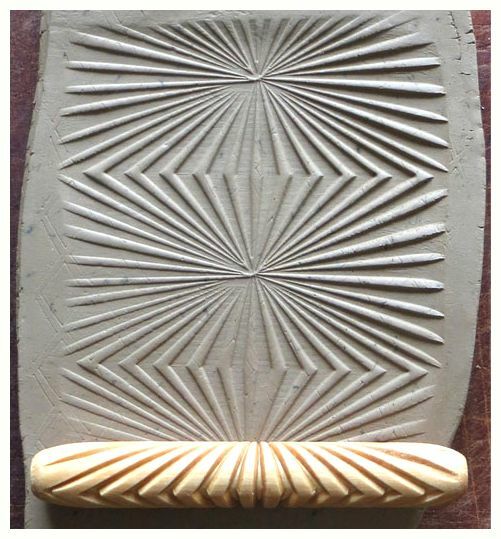 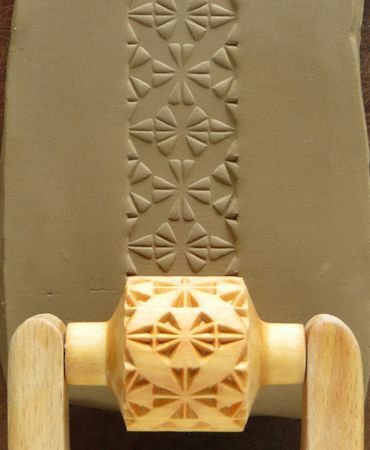 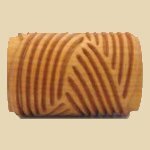 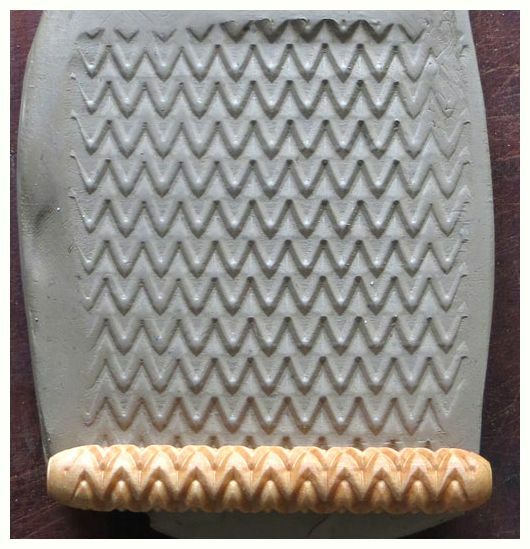 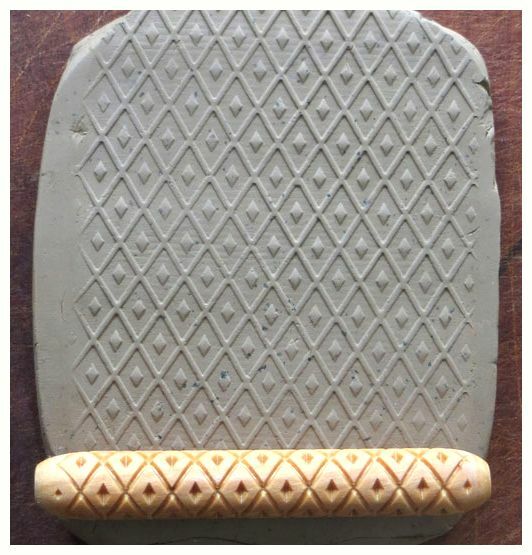 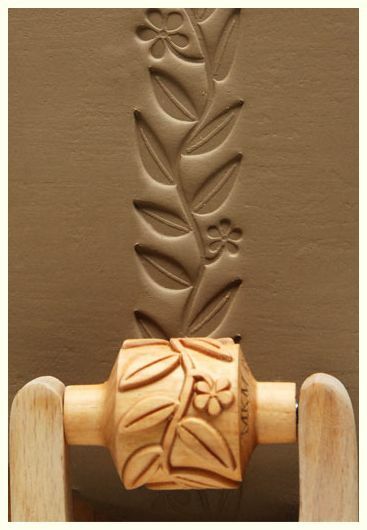 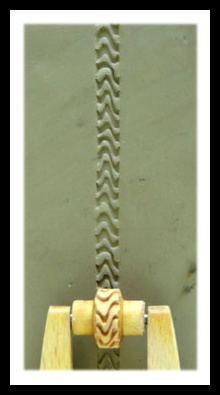 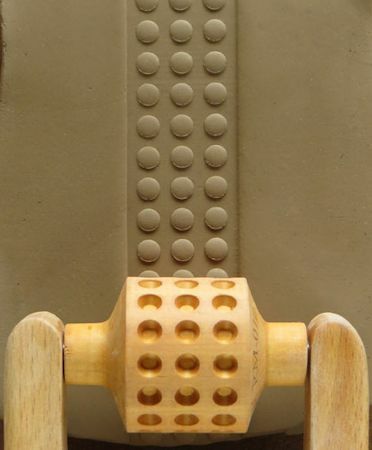 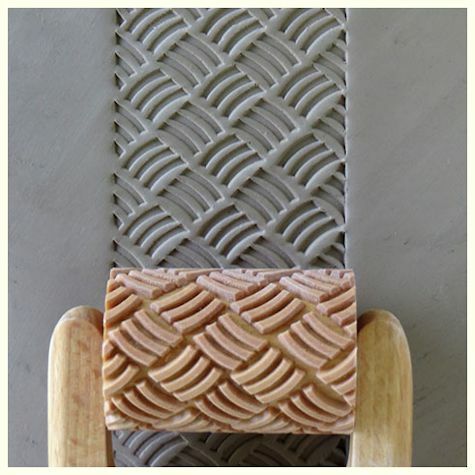 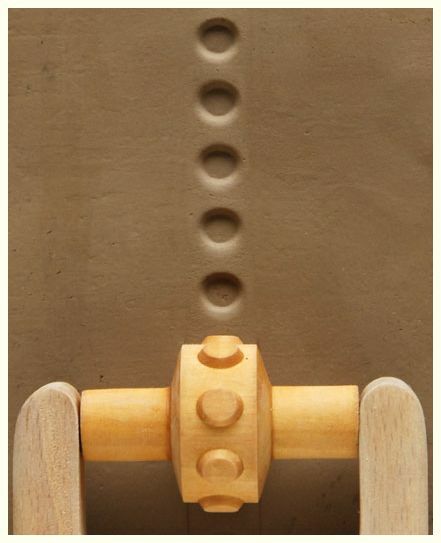 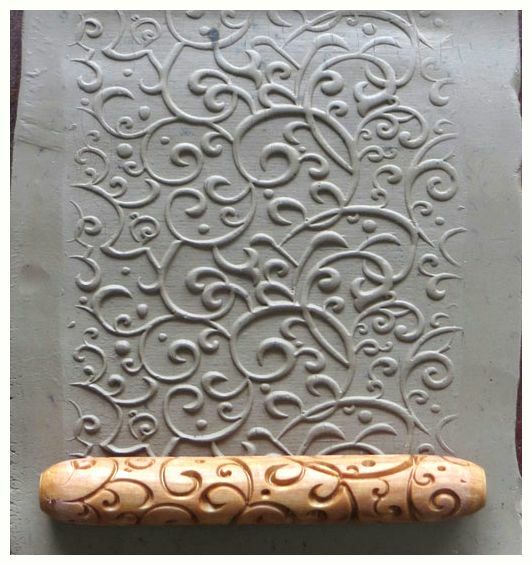 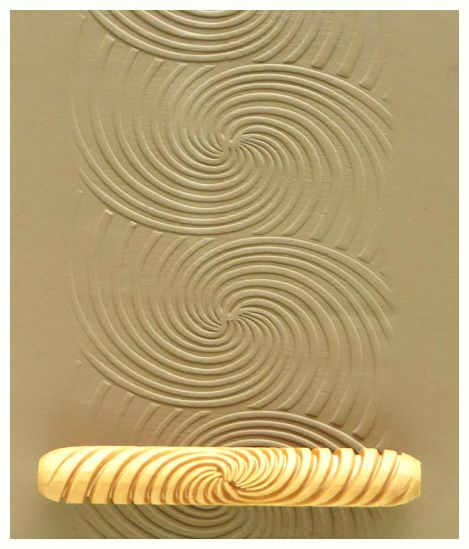 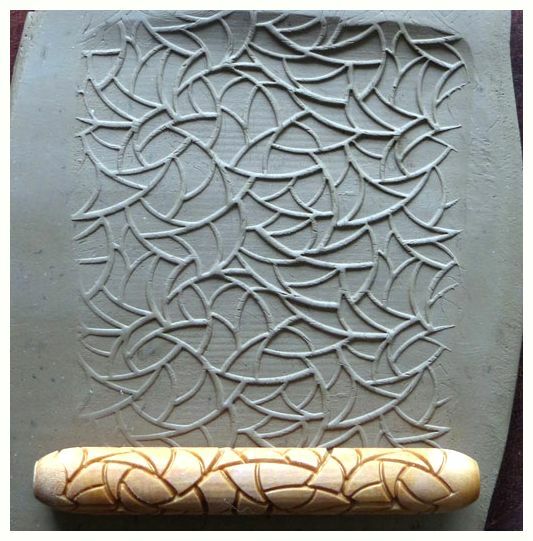 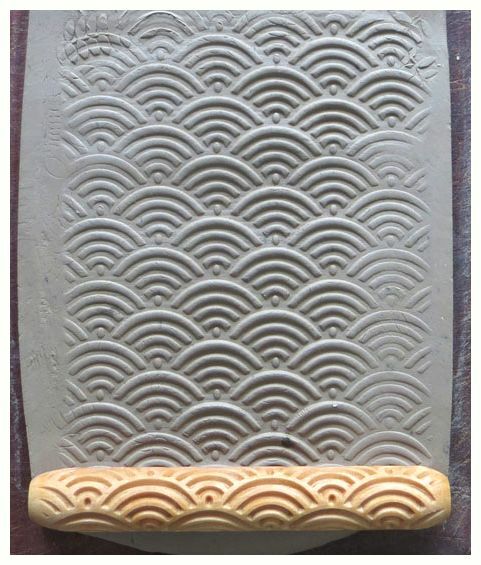 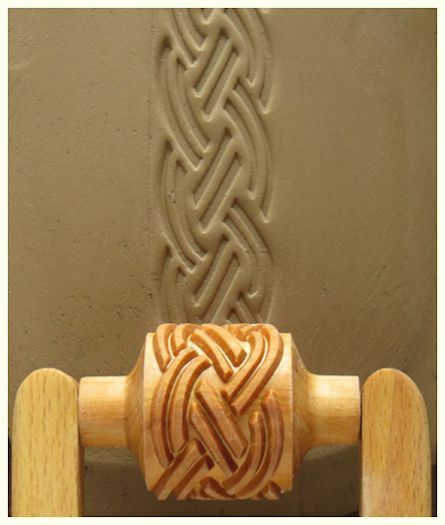 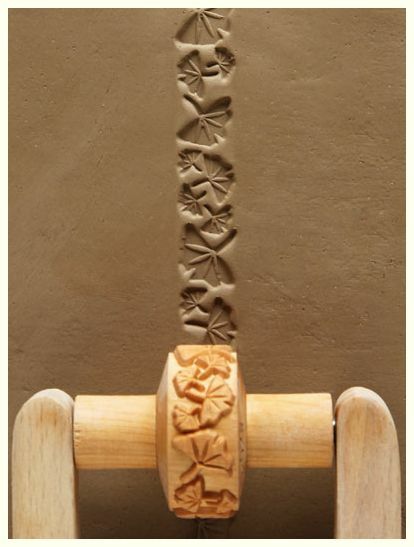 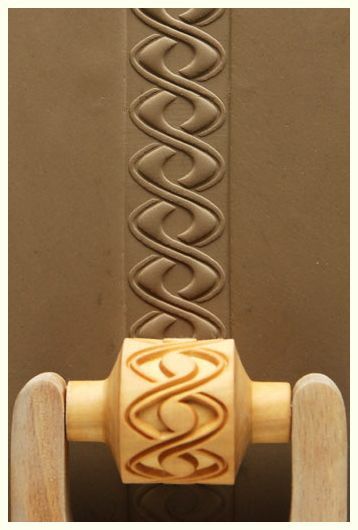 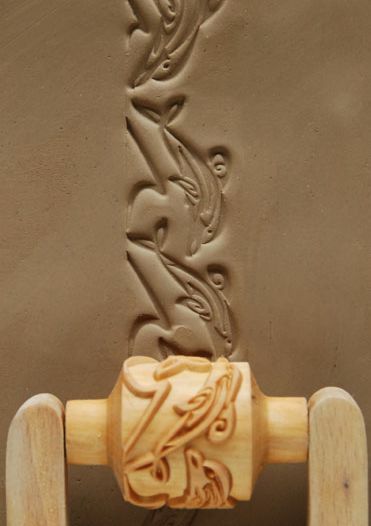 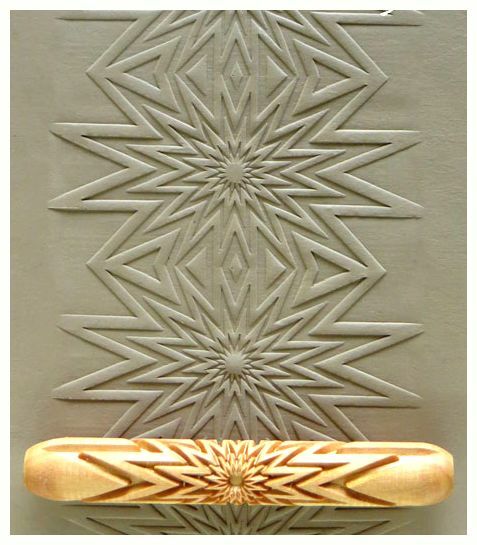 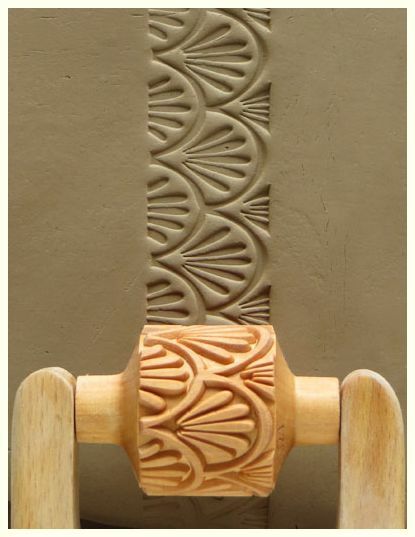 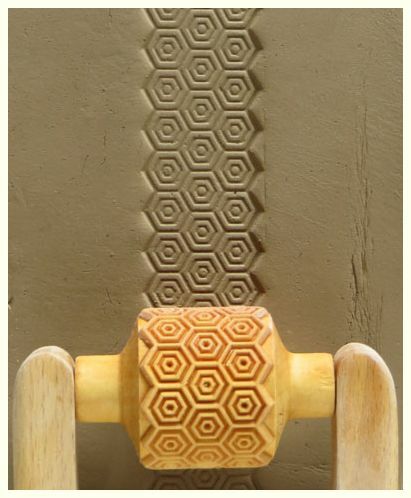 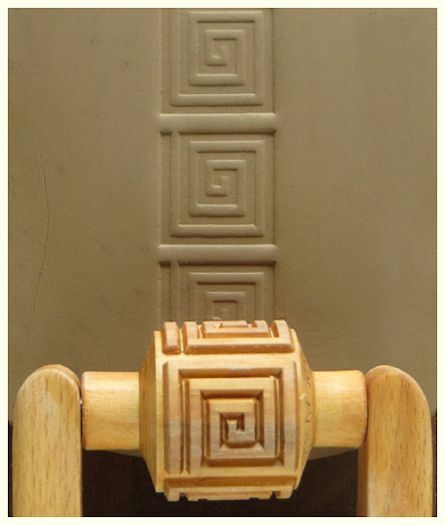 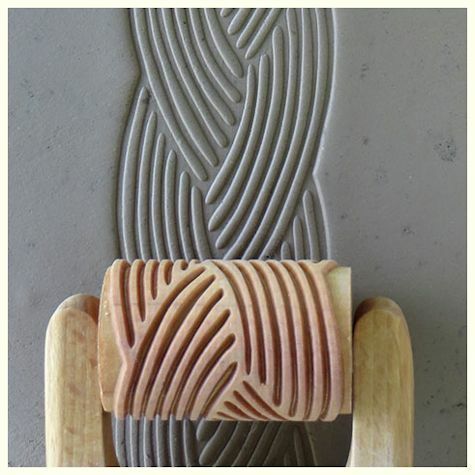 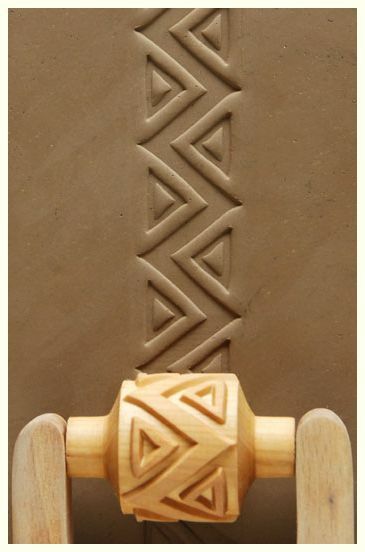 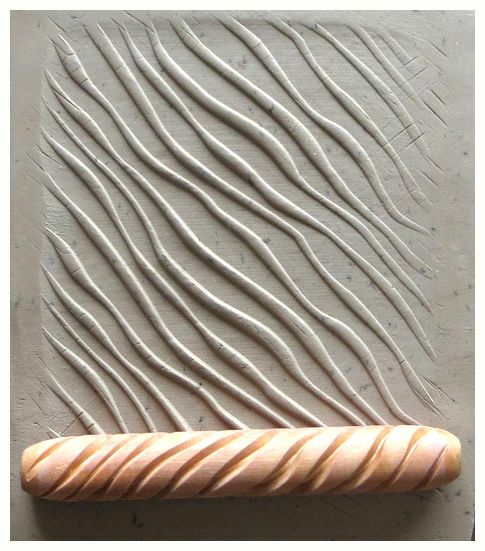 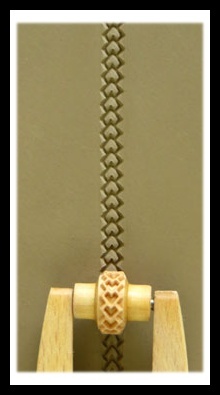 Click each roller for a larger picture with pattern sample in clay. 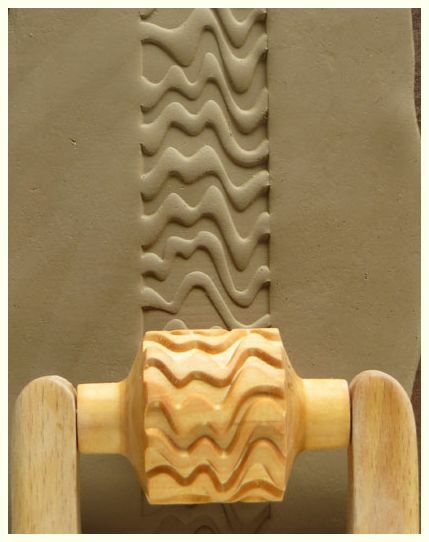 Mini Rollers use the "R2" handle (not pictured, yet). Small, Medium and Large rollers fit into the "R1" handle: you can easily and quickly change over to a new design or a new width. 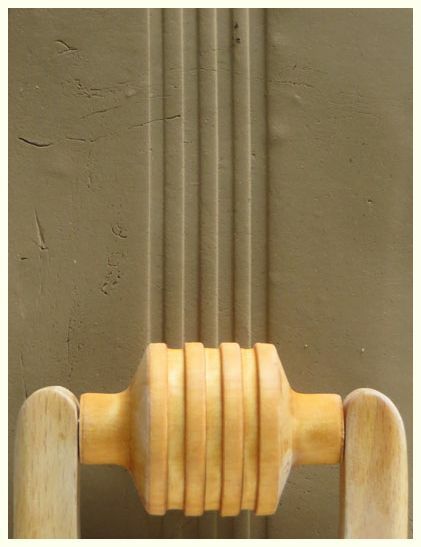 Handle is sold separately, and does not include a roller. 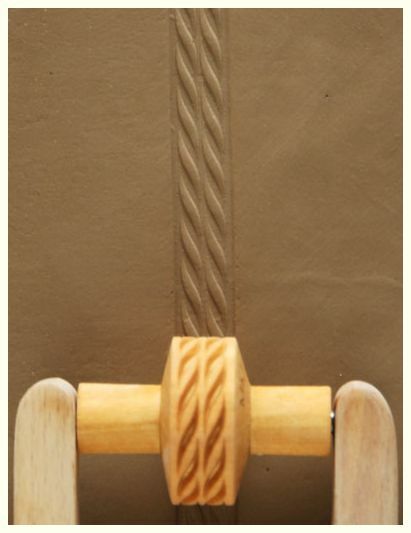 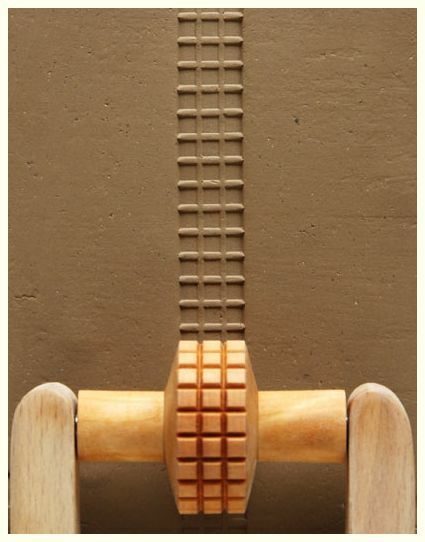 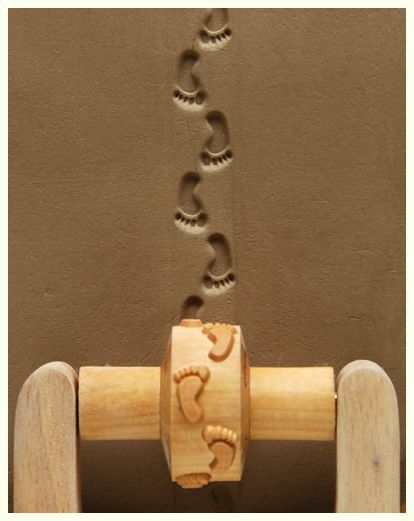 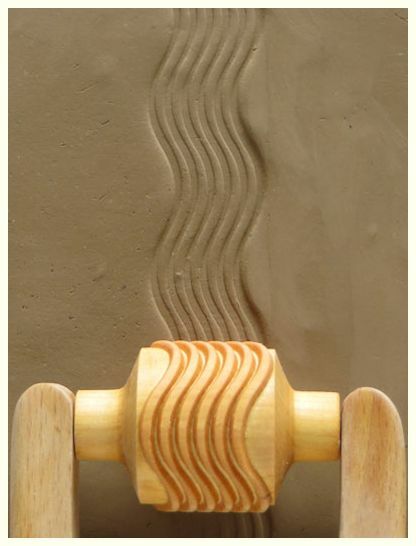 All rollers are made with a fine-grained hard wood and treated with teng oil for durability. 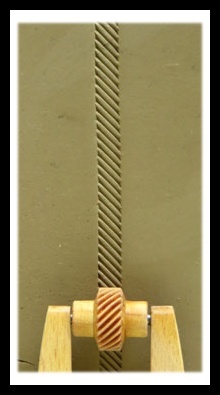 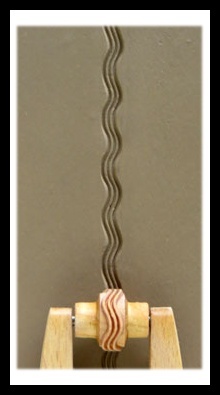 All stamps have two different designs, one at each end. 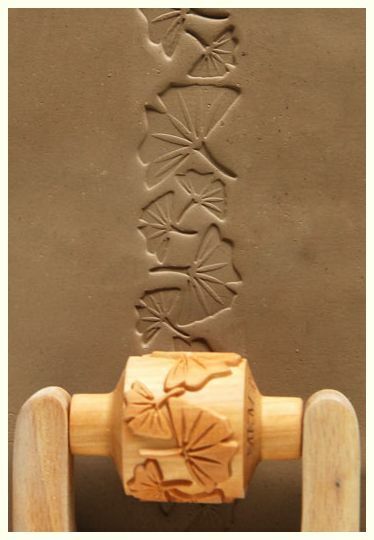 Some designs on each stamp are mirror images, while others are completely different. 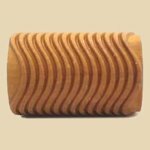 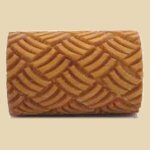 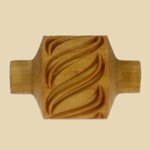 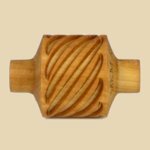 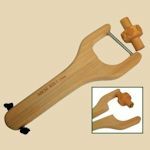 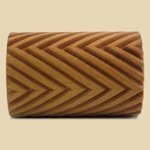 All stamps are 7cm (2.75") long and made of fine-grained hardwood treated with Tung oil for durability. 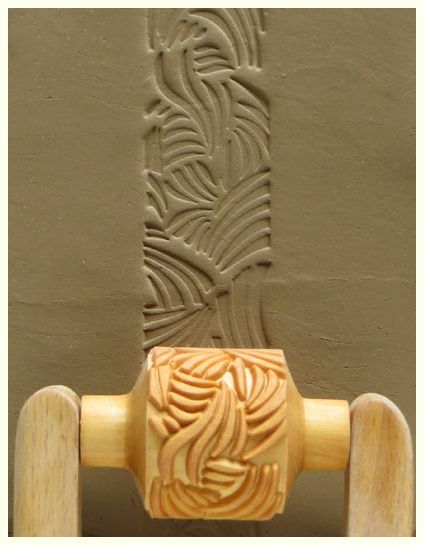 All stamps are fully labeled for easy identification. 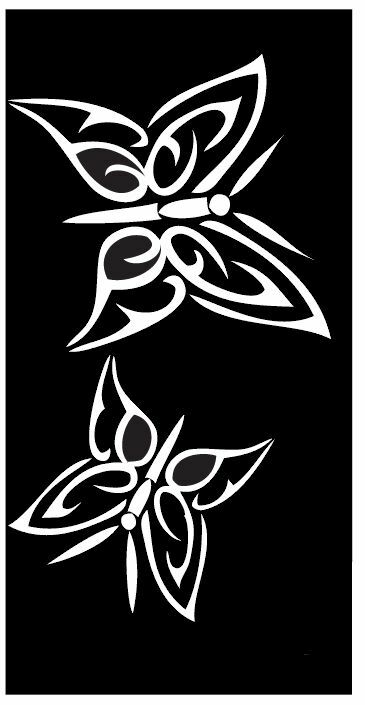 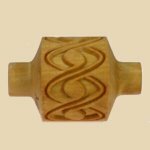 The stamps are designed as unit multiples of one another's sizes so that they may be used together to build larger, more complex designs. 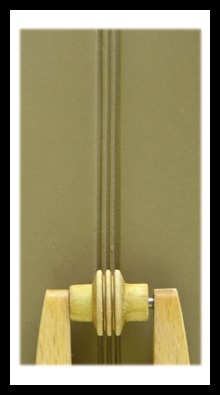 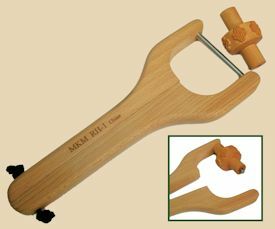 MKM's short paddles are soaked in hot mineral oil for durability and moisture resistance. 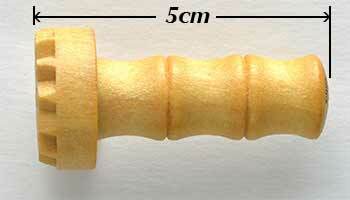 Their overall length is 20cm (7-7/8"). 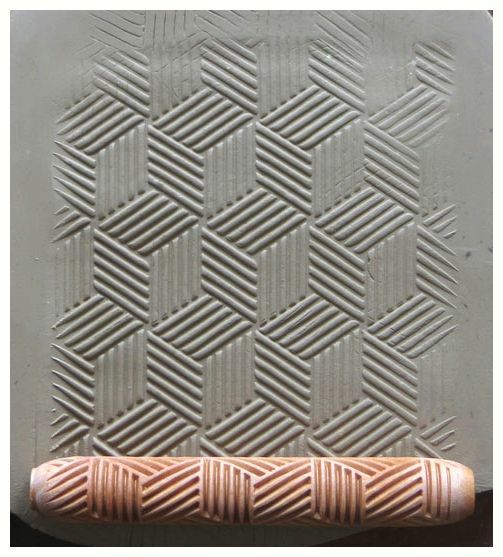 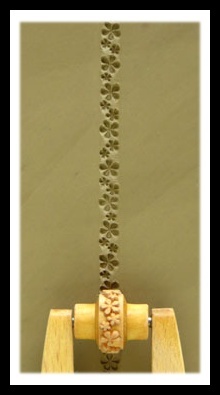 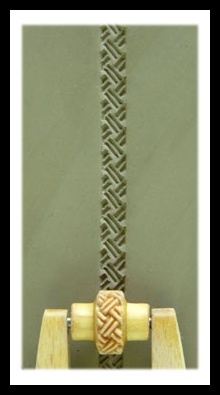 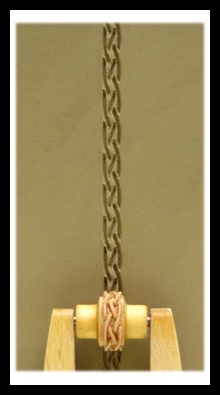 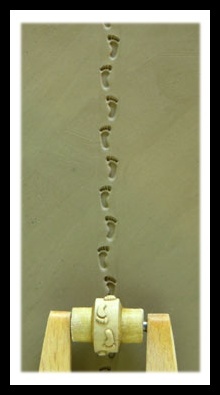 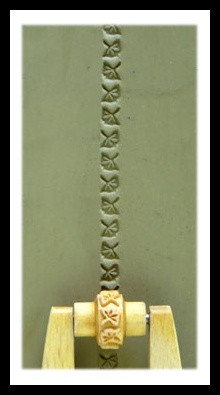 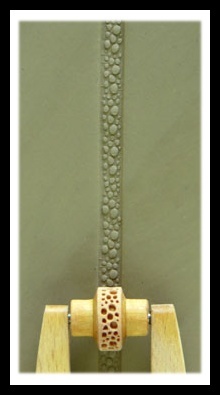 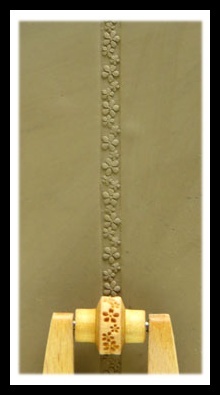 The pattern area measures 13cm by 11-1/2cm (5-1/4" by 4-5/8"). 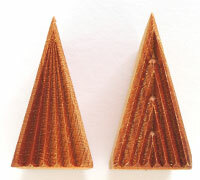 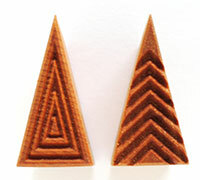 The wood itself is 1cm (0.45") thick. 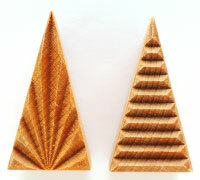 The Deco Disk is one those revolutionary, simple ideas we wish we'd thought of first. 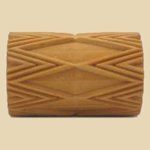 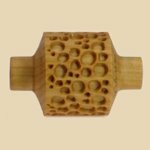 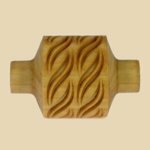 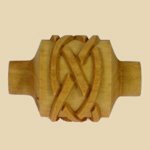 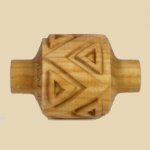 It accomodates any round piece up to 15 inches in diameter, and the rays are your guide for evenly spacing 3 to 10 axes of decorative or glaze work around the piece. 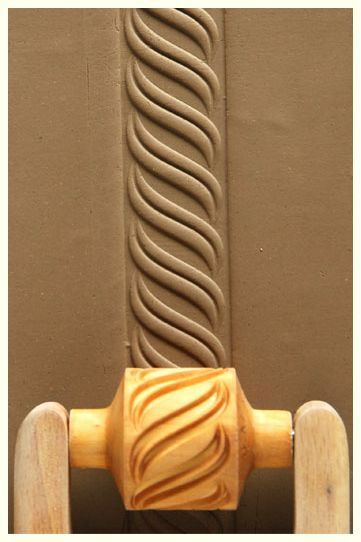 This will quickly become one of your favorite studio tools.